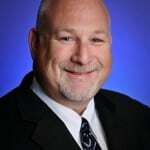 Reston Limousine is pleased to announce the hiring of Barry Gross, a veteran of the chauffeured transportation industry, as Director of Business Relations. In his new role, Gross will focus on affiliate and event business, as well as customer service training. “Barry has an extensive track record of generating revenue and increasing efficiencies throughout his extensive career in the business, and weâ€™re excited to have an industry professional of his caliber join our high performance team,â€ Reston Limousine CEO Kristina Bouweiri said. Gross previously has worked at All Resort in Utah and ExecuCar in Arizona; he most recently served as Executive Director of Richmond, Virginia-based A Goff Limousine & Bus Co. During his tenure at A Goff, Gross expanded the companyâ€™s operations in the key Richmond and Washington DC markets; improved efficiency and profitability; and revamped the companyâ€™s training program and standard operating procedures.